Host your next event at our wonderful facility! Welcome to Lexington Golf Club, the finest option for a round of golf in the Lexington, North Carolina area. Our 2004 renovations landed us on the "Top 5 Renovations in the Country" as voted by the prestigious Crittenden's GolfInc. Magazine. Here at Lexington Golf Club we combine a true commitment to tradition with a passion to continue improving our course in every way we can. Our course conditions rival the best of the Triad area's upscale clubs and our current rates are by far the best value in golf. 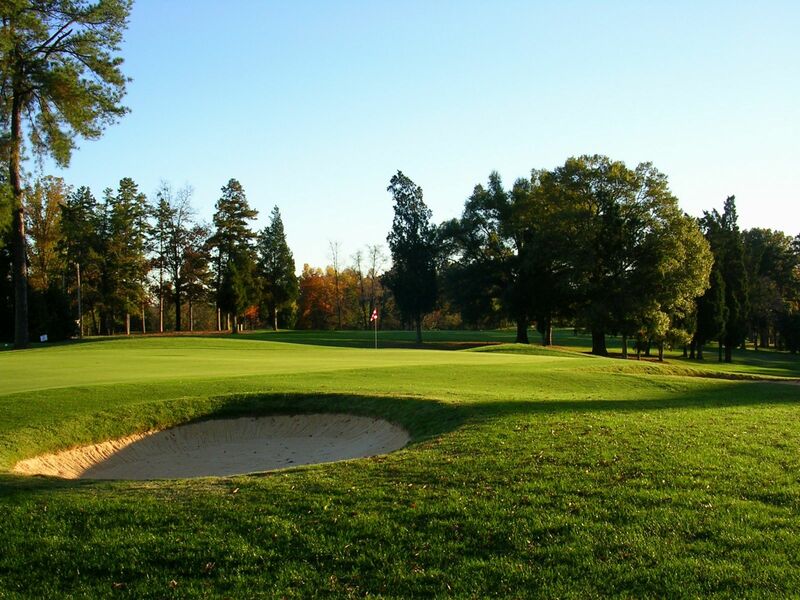 Lexington Golf Club is also the perfect course for group outings and family play. With A1/A4 bentgrass greens, lush 419 bermuda grass fairways, double-row irrigation and championship, mens, seniors and ladies tees, Lexington Golf Club has evolved into one of the best golf experiences for money anywhere. This is a course design that can both challenge seasoned players and help newcomers relax as they learn this classic game. Lexington Golf Club was built in 1938 by one of North Carolina's accomplished professionals and former president of the Carolinas PGA, Mr. Dugan Aycock. Winding through tall pines, our course features some of the most distinct elevation changes in Davidson County and the end result is a wide variety of shot-making. Golfers both young and old have long enjoyed this highly playable layout. This is a must-play course.